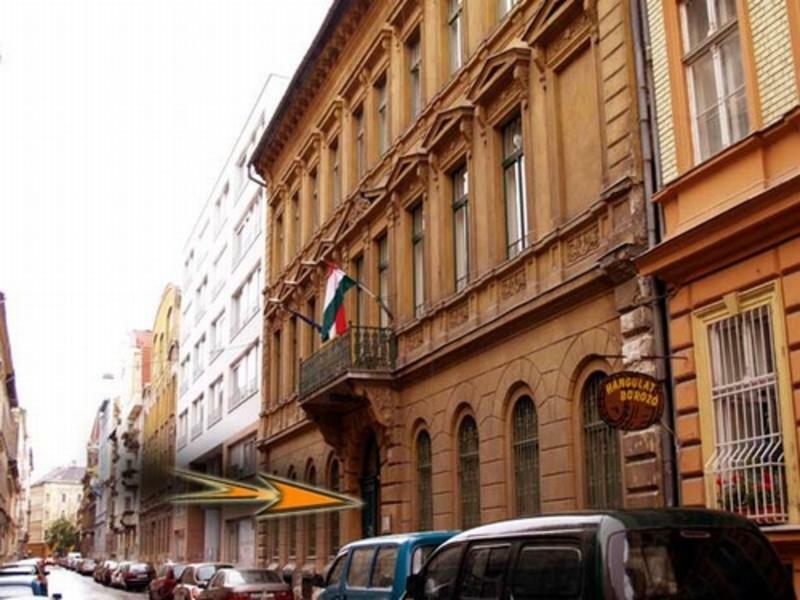 Maria Hostel is located in the center of Budapest. You will find plenty museums, bars, restaurants, shops, etc, within walking distance. You will find the best public transport lines in Budapest nearby: Metro 2 - red line, Metro 3 - blue line, buses, trolleys and trams. Our place offers you a pleasant stay with 2, 3 or 4 bedded rooms. Some are with own, and some with shared showers and toilets. Maria Hostel offers you a big common room with TV, kitchen, and not least a friendly staff and non-stop reception. Don't forget: central location with great prices! The check out time is at 10 o'clock (luggage storage at the reception) and the check in is after 13:00. Location: Surrounded by four main squares: Astoria, Blaha Lujza, Klvin and the intersection between the main ring-road and Ulloi street, it is in a walking distance from main pedestrian streets and most frequented places of Budapest. Just a few steps, turn right on Krdy street and try to decide between Darshan Courtyard with Caf, Shops, Restaurant and the old Blues Pub. But just a few more steps away and you'll get to the Mikszth K. square with the Frank Zappa Caf and it's terrace. Five more minutes walking and it's getting almost impossible to choose Rday street, Vci street, Budapest's Main Market, Gellrt baths and so on. If this is not enough for you, just ask our receptionists about available tours to do. You'll have to choose again You may explore walking, biking, boating or the easy way going by bus. And if all of this is still not enough try the tandem parachuting or the caving tours under Budapest. Maria Hostel is in Pest side near the: 4-6 tram line (Rï¿½kï¿½czi tï¿½r), Metro 2 (Blaha Lujza tï¿½r), Metro 3 (Ferenc kï¿½rï¿½t), Bus no. 7., etc. It is in a very good location however situated in a very quiet street. From the Airport you can take the Bus no. 200 to get in the city. Take the Blue Line Metro until the Ferenc kï¿½rï¿½t stop. That takes just about 30 minutes. >From the Keleti main train station you can take the bus no. 7 (for 2 stops) or Red Line Metro (for 1 stop) towards the center (Deï¿½k tï¿½r) and get to Blaha Lujza square. From here you can walk, or take the 4 or 6 tram for one stop (Rï¿½kï¿½czi tï¿½r). From the Nyugati main train station you have to travel just 5 stops, 'till the Rï¿½kï¿½czy tï¿½r stop. From Nï¿½pliget main bus station take the blue line metro towards Deak tï¿½r for 3 stops (Ferenc kï¿½rï¿½t). From here you can walk or take the 4 or 6 tram for two stops (Rï¿½kï¿½czi tï¿½r). We are on Maria utca 7.